Writing can prove challenging for some students. 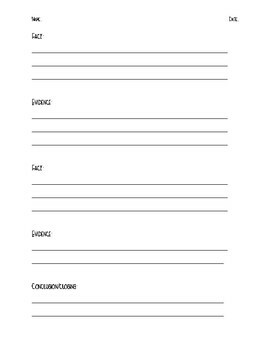 Gaining facts from the text and writing an informative paper can be made simplified when using this worksheet. Topic sentence and fact/evidence is clearly designated on the worksheet. 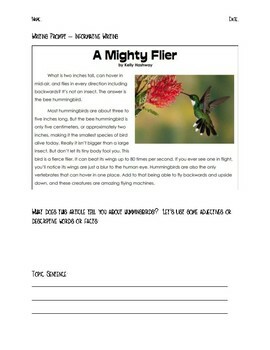 There's a space for gathering facts and students can highlight the evidence in the text. Writing becomes a piece of cake! Great for special education students and writing centers.